Assuming that you truly want to communicate with others, listening is the most important speech skill of all. Unfortunately, it’s also the speech skill that is practiced the least. It will sound strange to refer to this as a sloppy speech habit, but it is. We’re wired to listen; we just don’t bother doing it all the time. Most of the time, the speaker won’t know we’re not listening. As long as we continue to face him, keep a suitable expression on our face, and don’t do something blatant such as belt out a show tune, how will he know that we’re actually somewhere else entirely? He won’t. But you do. And you’re the one that has to make a commitment to truly listening. In other words, I want you to become an active listener. To listen actively, you need to change from being a passive target to being a contributor to communication. Make this one change, and you’ll improve your communication skills a thousandfold. Feel more confident that they’ve actually communicated a message to you. Feel more positive about you and the message you’re communicating. Stop whatever else you are doing. Turn to face the speaker and make eye contact. If you’re standing, your arms should be held loosely at your sides. If you’re sitting, place your hands in your lap or loosely along each arm of the chair. Whether standing or sitting, do not cross your arms, which sends out a negative message. If you’re sitting, your legs should also be uncrossed. Lean slightly towards the speaker. You want your body language to send the message that you are receptive to the speaker’s message. As the speaker speaks, make appropriate comments that advance the conversation. Just saying “um” or “ah” here and there won’t do it. You need to show the speaker that you’re actively listening to what he’s saying by making statements or asking questions that show that you’ve been paying attention. 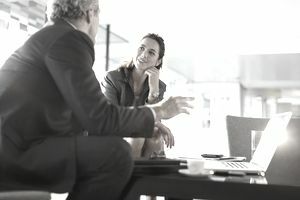 Like the next technique, summarizing, this active listening technique works well in both face-to-face and communication situations where the speaker can’t see you. This is a particularly powerful technique for showing the speaker you’ve been paying attention whether you’re in a face-to-face situation or listening over the phone. You can use it during the conversation by saying something such as, “You were saying that...” and simply restating the speaker’s last point. Its most powerful use is at the end of the conversation when it’s “officially” your turn to respond. Start by saying, “You said that...” and then summarize the speaker’s key points, closing by adding an action statement, something you will do as a result of what the speaker has said. Perform this exercise at least three times, using different speech topics and working up to a speech time of three minutes. After you’ve practiced the exercise on and linked to this page, you need to continue practice being an active listener. Concentrate on this speech skill this week by trying to apply the three techniques of active listening to every conversation you have. Set up a session with your Speech Monitor or with the partner that you first did your Active Listening practice with for the end of the week and go through the Active Listening exercise on this page one more time. Ask him or her to evaluate how you are performing each of the three active listening techniques explained in this lesson.